The Mission of the Public Service Department is to provide our community with the highest quality public service that continually enhances the quality of life for all our citizens. 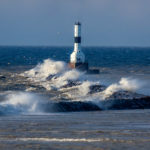 View more stunning photos of Conneaut by Conneaut's award-winning photographer, Richard McBride. Copyright © 2018 Everything Conneaut Ohio.